Bird scarer reviews and bird scaring techniques, click here. A Bird scarer is simply something that scares birds. Although, when people talk about them they usually refer to them as products. Back before large hardware stores people used to make bird scarer’s, but now they are mass produced. Either way you decide to go, a bird scarer is anything that scares birds. Bird scarers are used because we can’t stand in our gardens all day and shoo away the birds. We’re busy working, sleeping etc, so we wish to employ a tool which can be created cheaply, and keep the birds away from an area. A bird scarer works off a few principles.If we don’t shoo away the birds they can do damage to our gardens, by eating them, living in them or loitering around them which causes noise and mess. In more rural areas, birds of prey have been known to take small pets such as guinea pigs (hamsters), and small dogs. That birds don’t like surprises. They don’t like anything out of the ordinary. Like random sounds, or flashes of light. They also have predators that they don’t like. They don’t like to see these birds, and they don’t like to hear them either. Predators aren’t just owls and cats. But also us humans! Physical removal of birds. This includes nets and bird spikes. This technique works well for small areas, and can take a lot of time for large areas. Some birds are smarter than others but generally their intelligence comes with their time to sit and survey any situations. They will sit and wait when you’re at work, or watching television, or even sleeping. They will move closer and closer and then they get close enough to figure out that your owl is plastic or the flashing light isn’t a threat to them. 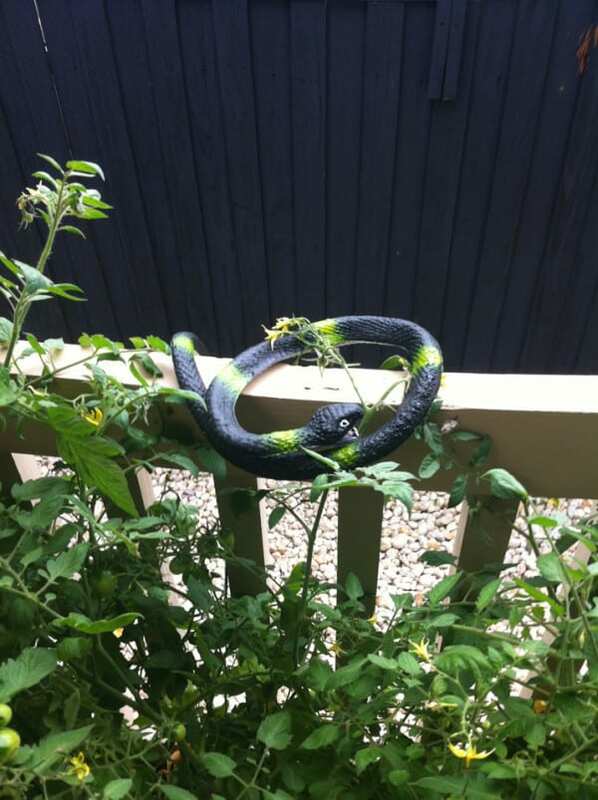 The bird scarer is a plastic snake placed on a rail of a deck. With this the case, it is important that bird scarer’s fool the birds for as long as possible. So bird scarer’s must be as life like as possible, and this means generally that they must move randomly. Plastic owls used to be a one piece mold of plastic, but now they have either solar powered or wind powered heads. Even the home made CD’s tied on string are made to move in the wind to throw the birds a little longer. If you decide to employ a bird scarer, then it is important that you take note of this. Because some bird scarer’s will not work very well in your situation, it is important to pick one that works, and not just the cheapest. It isn’t a bird scarer if it doesn’t scare away birds. Some birds are smarter than others, in my experience the smaller the bird your dealing with, the smarter they are. Sparrows typically will work out your scaring technique quite quickly, whereas crows will stay away from almost everything. If you like more information on bird scarer’s check out the reviews page. If you have any questions, please contact me using the contact link above.